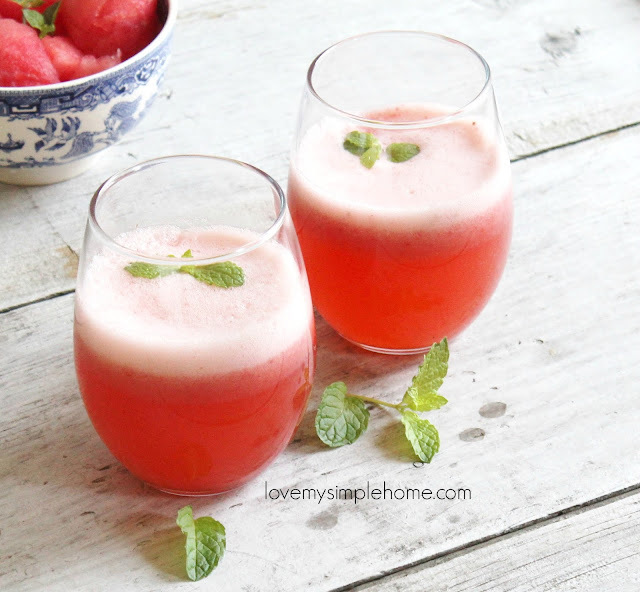 Simple, refreshing and easy to make this watermelon strawberry drink is perfect for a hot day. 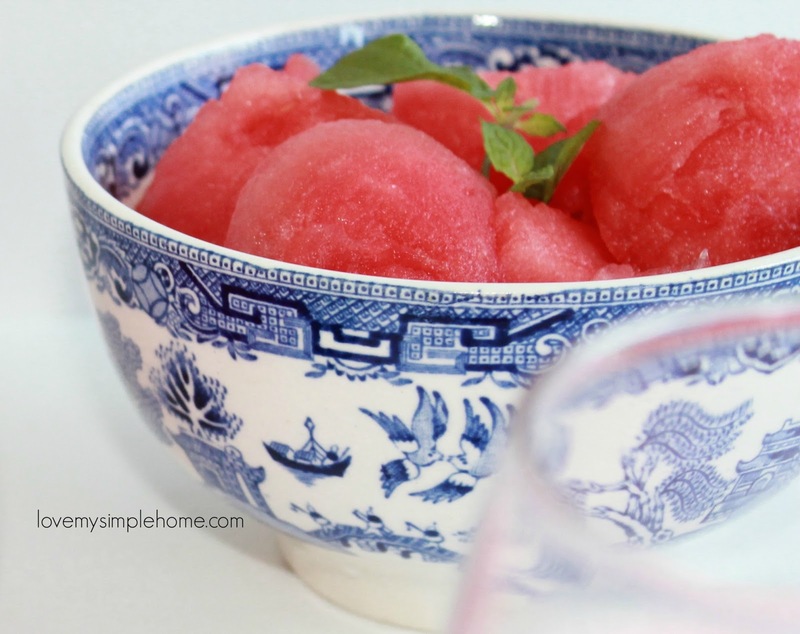 Watermelon makes a great base because there is so much liquid. 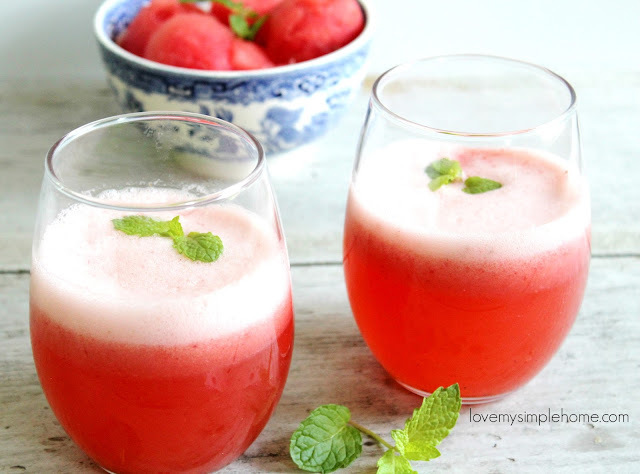 Blended together with sweet strawberries, lime, and mint it is summer in your mouth! I'll whip up two of these for my husband and I after he comes home from working in the hot summer sun. 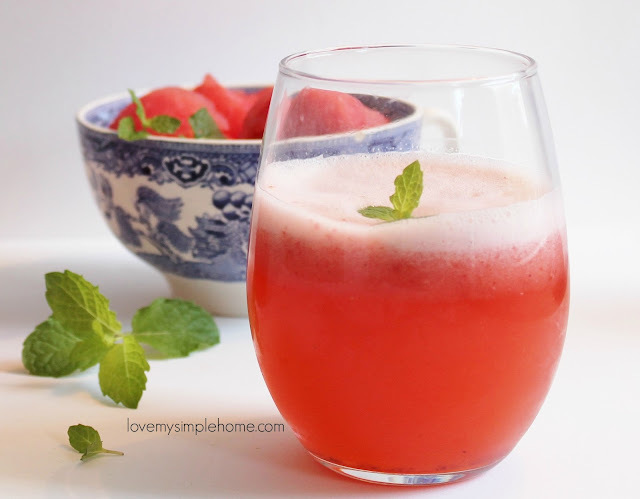 I used my NutriBullet which makes this drink extra nutritious because it extracts the nutrients. With extraction, you get the health benefits of eating the whole fruit or vegetable. In other words, you are drinking the pulp, the seeds, and skins. This drink can also be made in a blender. Place all the ingredients in the tall cup add water up to the max line. Extract for no longer than one minute. If you are using a blender hull the strawberries and use ice cubes. 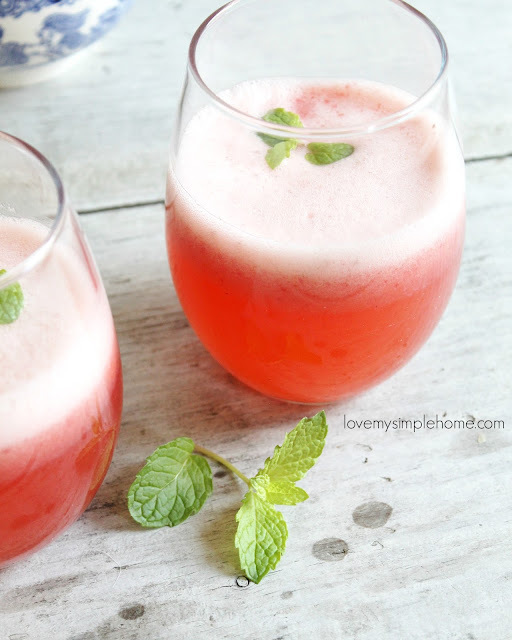 Pour into a glass garnish with fresh mint leaves and serve. This also makes a refreshing cocktail! I like it with vodka! To add more mint flavor rip a mint leaf in half and rub it around the rim of the glass. 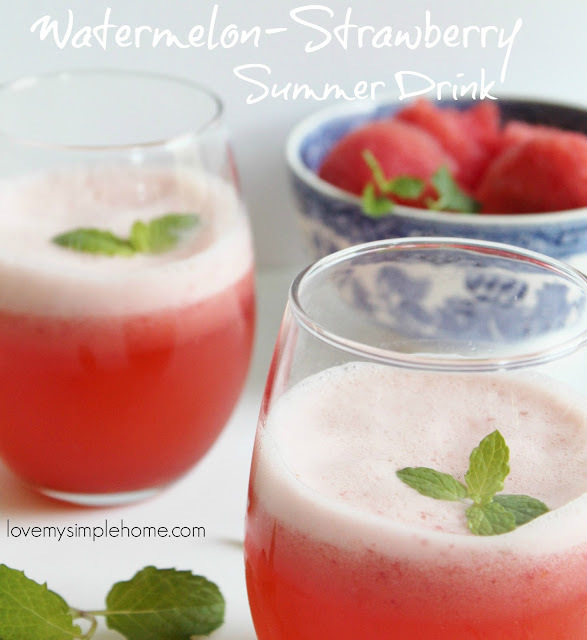 This looks delicious and refreshing, Julie! Thank you Angie it is! I could drink this everyday.